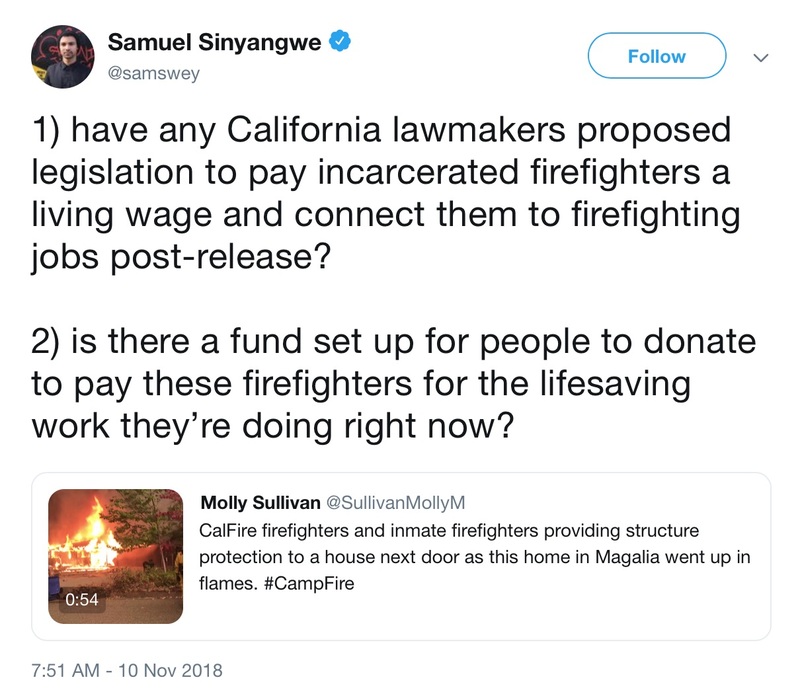 What about equal pay and post-release work for California’s incarcerated firefighters? Colorado’s Mindsource-Brain Injury Network now works in local jails throughout the state to identify people with a history of traumatic brain injury and teach them how to manage their cognitive deficits. One veteran incarcerated at the Boulder County jail told U.S. News & World Report that he believed that the daily mortar attacks he experienced while deployed in Iraq were what caused his TBI, leaving him constantly “kind of re-creating the war scene.” A lack of impulse control and sensory overload is typical of traumatic brain injury survivors, making the rigors and stresses of jail especially difficult to cope with. Participants in the program are also connected to case managers with the Brain Injury Alliance of Colorado, who guide them through the transition after release. [Casey Leins / U.S. News & World Report] See also Our newsletter of April 23, 2018, looked at Colorado’s statewide screening of people in jail and on probation and how knowledge of traumatic brain injuries can shape their treatment. 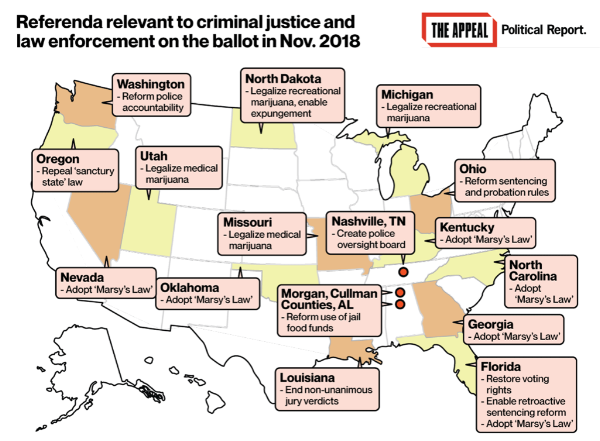 Where ballot initiatives pertaining to the criminal justice system passed on Tuesday—and where they didn’t: Last week voters in 15 states decided ballot initiatives on measures relevant to criminal justice and law enforcement. On this map you will find the result of each referendum. 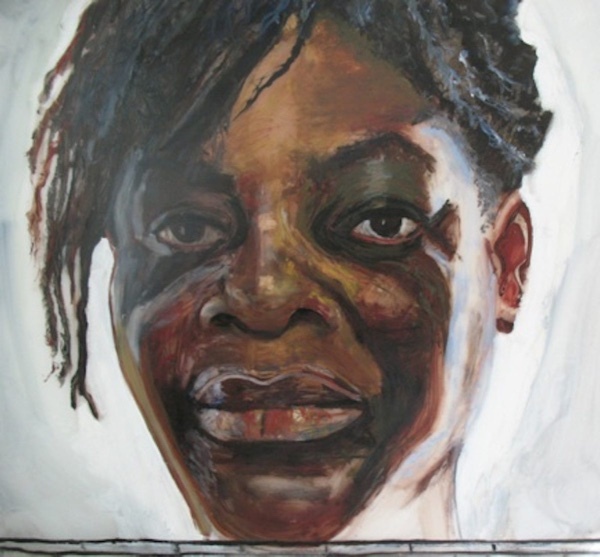 The Appeal: Political Report previewed all of these referendums here, and The Appeal published a report on the successes of Marsy’s Law on Wednesday.